Hello, this is Steve Moore. Not too long ago, you (…and your wizard of a webmaster, Anthony…) were so kind as to inquire about posting a couple of my visual tributes to your Dad’s legendary theatrical career on your wonderful website. Naturally, I was pleased beyond measure that you should ever have wished to do so, and it has been a massive thrill to play even a tiny part in helping to joyously commemorate a phenomenally diverse and evocative body of work such as his. 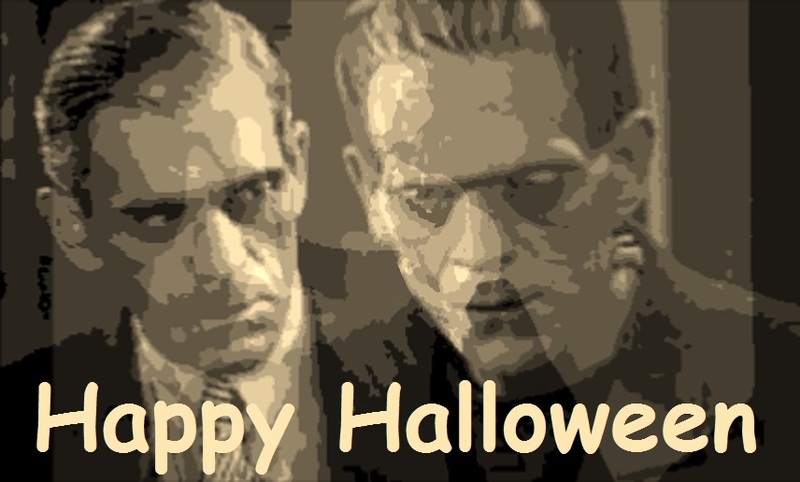 Like so many people you must hear from as time goes on, I grew up not only aware of Boris Karloff’s presence in the landscape of the entertainment world (circa the early 1960s), but I also very much connected with that amazing capability of his to draw and hold one’s attention wherever he resided within that TV show or feature film spotlight. As the years paraded onward, those (then) contemporary acting or hosting projects had the added effect of inspiring my curiosity regarding his earlier works, and what a splendid and rewarding experience it has been to seek out so many of those vintage movies / old radio shows / live-on-kinescope TV broadcasts / documented stage performances — in addition to a richly captivating catalog of spoken-word treasure troves. To me, nobody could tell a story (of any type or genre) better than dear ol’ Boris. That was true when I was 7-years-old, and it’s just as true today, as I currently go hurdling along towards my 58th year. What a gift it has been to appreciate, to re-visit, and to savor for all of its rich qualities of timeless artistry and enduring relevance. In any case, I guess I’ve lately been piecing together these humble little YouTube reveries in an effort to register my boundless gratitude. I’ve never been much interested in rubbing elbows with celebrities in general, but I would’ve certainly cherished the opportunity to have met and thanked your Dad for everything he did to make my life that much more enriched. And I’d occasionally have the thought of writing something like this to you, if only to sort of let you know. I’m not typically so outgoing a personality, but it seems that fate definitely played its part in bringing it all together, despite my own shy ways. Thank you, Sara, for your kindness, and for encouraging me to join you and the rest of your Dad’s adoring fans in this gleeful celebration of a vastly talented and exceedingly gentle soul. 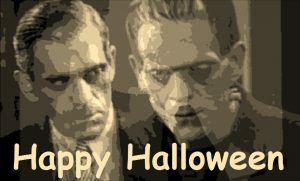 As always, if you should ever wish to post any of my other Karloff tribute clips on Karloff.com, you’re always more than welcome to do so. Still, it’s a genuine privilege that you’ve seen fit to showcase the two that you already have.